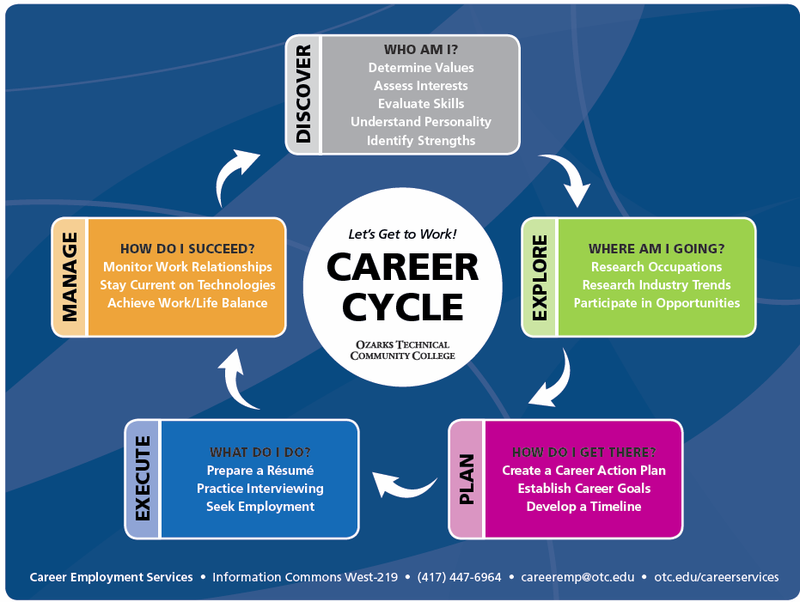 The CAREER CYCLE is a five-step career-decision making framework of Discover, Explore, Plan, Execute, and Manage developed to assist students with education and career planning. Making a career decision takes time and energy and requires you to be proactive. It is a lifelong process of self-discovery in which you seek answers to questions like Who Am I? Where Am I Going? How Do I Get There?